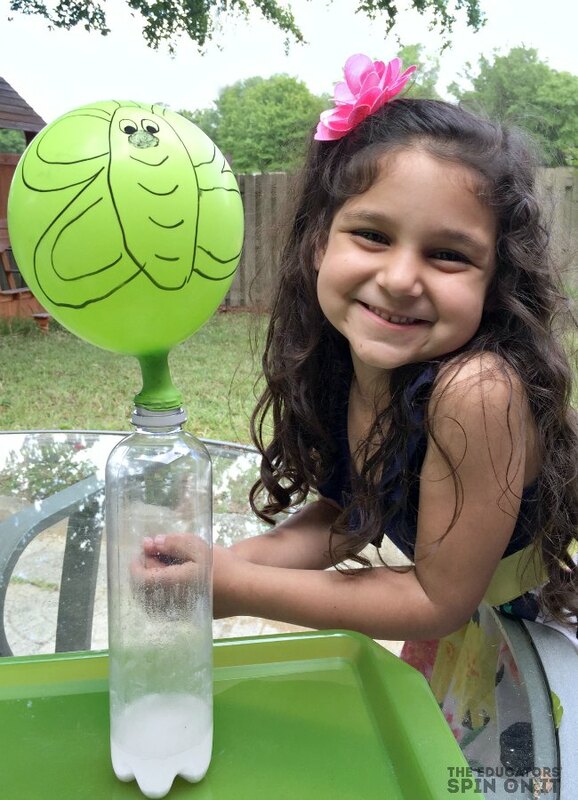 Surprise your little scientist with this caterpillar and butterfly science activity with balloons. 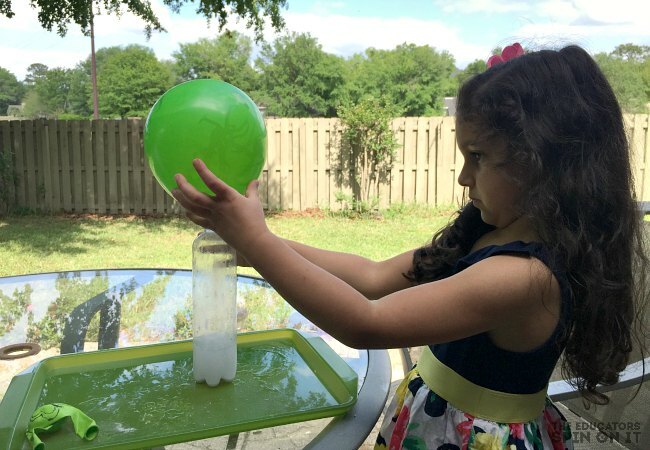 All it takes are a few items from around the house to create this science experiment! Are you ready for this Butterfly STEM challenge? 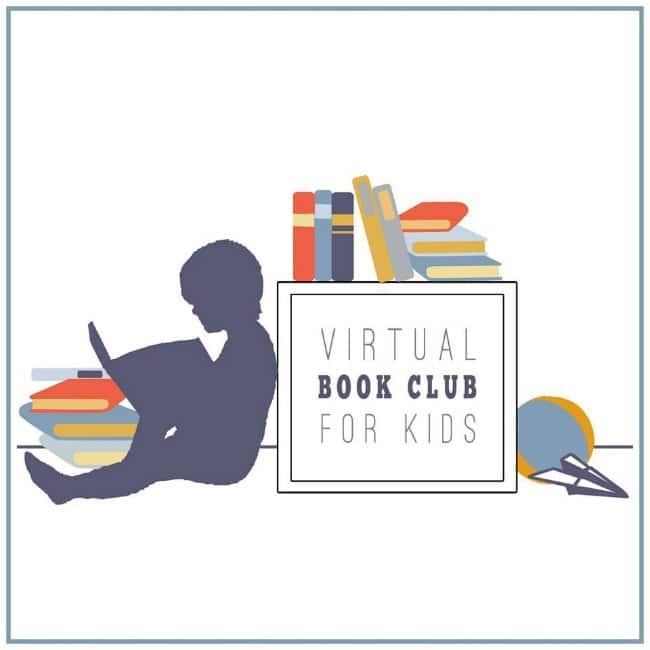 It’s Butterfly Week at the Weekly Virtual Book Club for Kids. Our featured book is The Very Hungry Caterpillar by Eric Carle. It could not be better timing as we just had some monarch caterpillars arrive in our backyard on the milkweed. I can’t wait to watch them eat and grow along with my girls. Have your ever grown milkweed to attract monarch butterflies in your yard? Here’s how you can Make your own butterfly garden and how it can provide many chances for Learning Activities with Butterflies for your child. Click here for more Butterfly Book we LOVE! One of my favorite things to do each year in my classroom was to order Caterpillars and watch them grow as a class. Then we added milkweed to our garden and have monarchs visit often to lay eggs and we get to see them grow again and again. It’s really quite magical every single time. 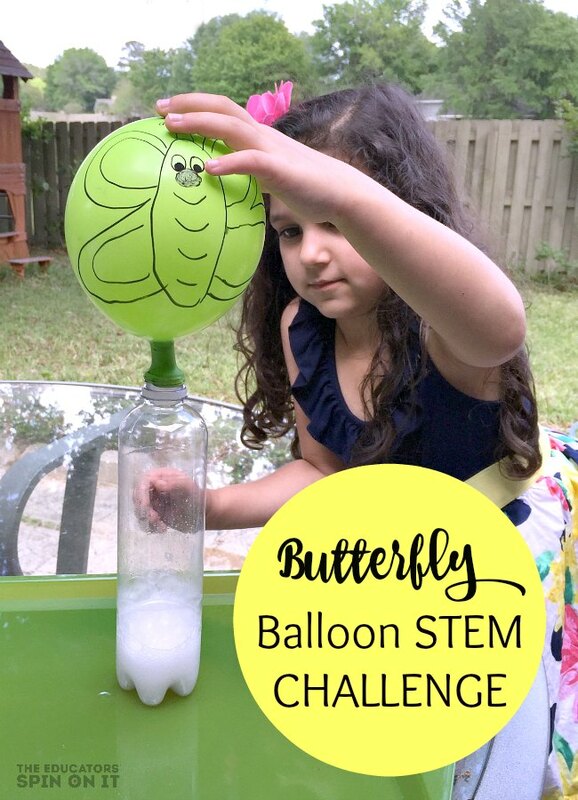 We thought it might be fun to see if we can create our own STEM Challenge to turn caterpillars into butterflies and found a fun twist on this balloon science activity. Are you ready to see how it’s done? The kids will want to do this again and again, which it great since it only needs a few items from your kitchen. Here’s what you’ll need to get started. 1. 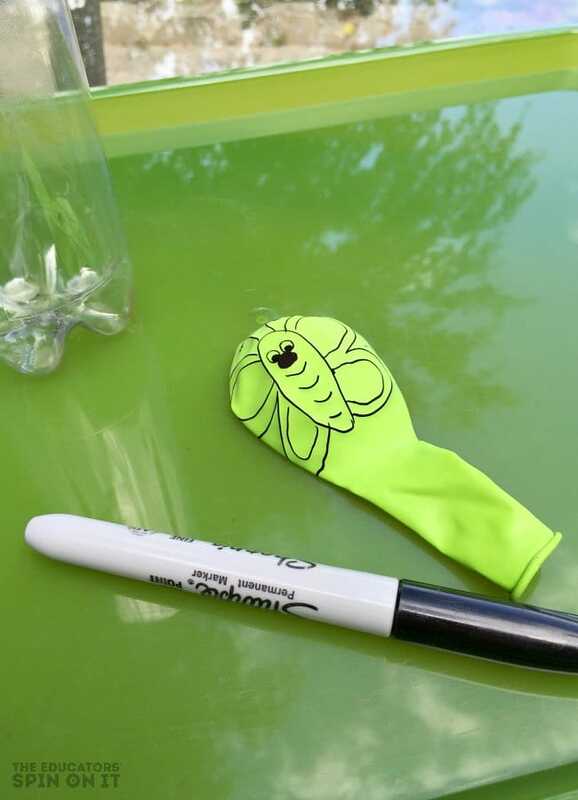 DRAW a butterfly onto a balloon on one side. 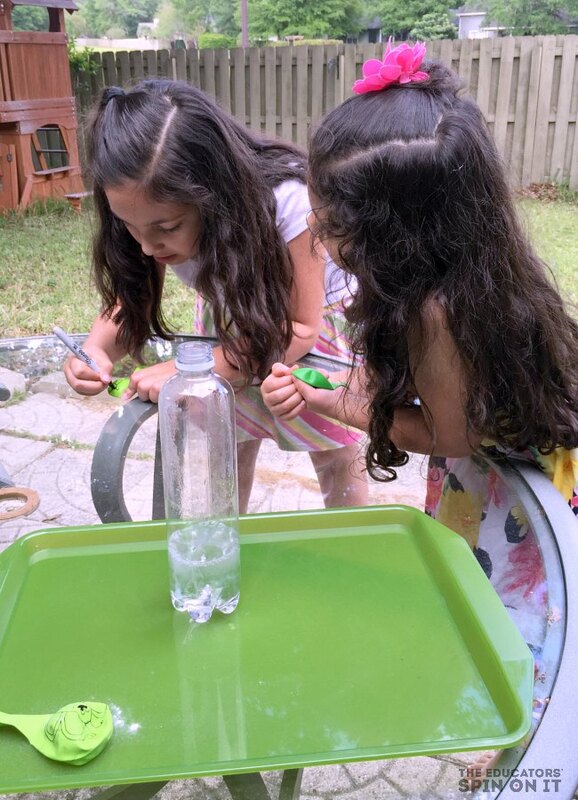 ADD A SURPRISE ELEMENT: The first time I did this with my girls I hid the butterfly and just showed them me attaching the filled caterpillar to the bottle so it was a surprise when the butterfly showed up. They were so surprised!!! Something to think about to add to the FUN FACTOR of this Science Activity. Then of course they wanted to create their own and I allowed them to play around with levels of amounts to create a Challenge for them. 2. Draw a caterpillar onto this same balloon on the other side. 3. Fill empty plastic container with vinegar. You only need a little bit to make this reaction. 4. 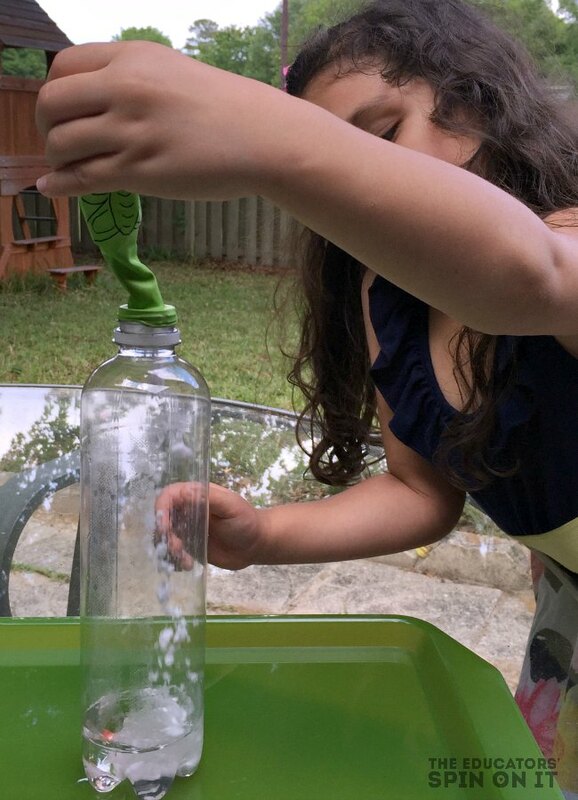 Then fill the balloon with baking soda by inserting a funnel into the opening and placing a spoonful into the funnel to fill inside of the balloon. 5. Attach the balloon to the plastic container with vinegar. Careful not to spill any of the baking soda inside of the container. When you hang the balloon be sure to hang it on the caterpillar side and talk about how the caterpillar forms a chrysalis that hangs. 6. Now it’s time for the STEM Challenge!!! Can make your butterfly grow? 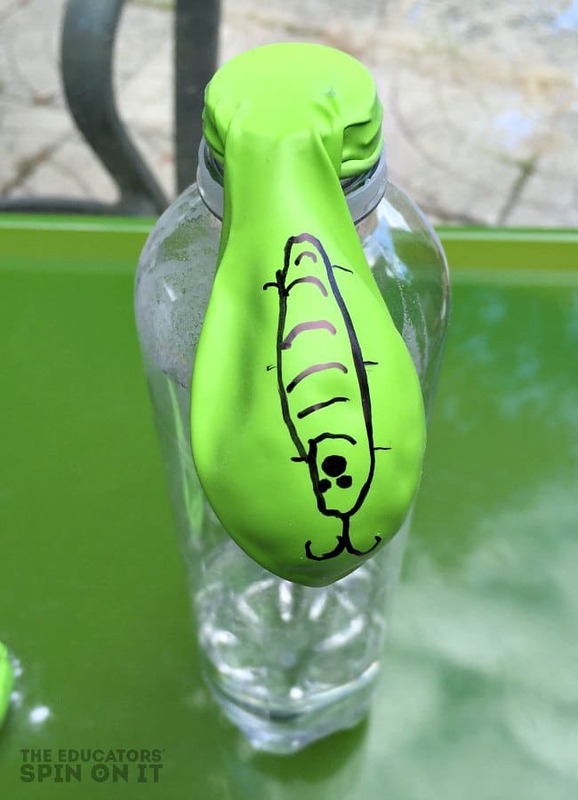 Encourage your child to LIFT UP the caterpillar balloon and allow the baking soda to fill into the container. WATCH and see what happens next!!!! 7. SURPRISE! You balloon will fill up with the gases released from the chemical reaction between the vinegar and baking soda. How does it work? When baking soda and vinegar mix, they release carbon dioxide (this is the same gas that is in the bubbles in your carbonated drinks). Want more Butterfly STEM Challenges? Use Engineering to build their own butterfly that stands or flies. Use Math to calculate the rate of growth for the caterpillar in ratio to the amount of baking soda and vinegar used. Once you thin about it the ideas grow and grow for STEM focused activities with this project. Our Virtual Book Club Hosts have created a few more activities to go along with the book The Very Hungry Caterpillar. They are listed here below. Have fun learning about Butterflies with your child!